Lauren Bacall was one of the most beautiful women in the world. And I have a weakness for beauty and more specifically by the elegant beauty of Lauren. This is the second digital portrait (first) in which I work, but throughout my life I have painted her many times, from simple pencil sketches to large oil paintings. And I keep going because I’m in love with her elegance, her gaze and that special way of getting into the camera, his deep look … everything has fallen in love with her since I was a child. 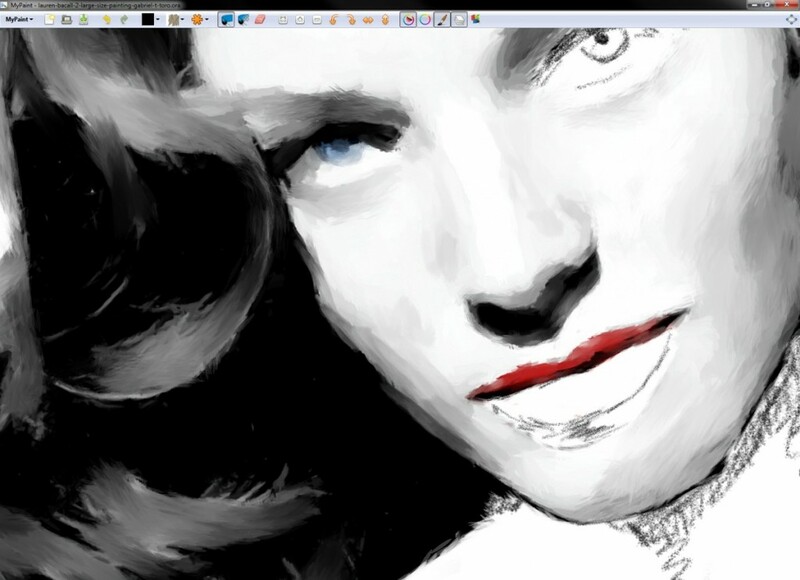 I always enjoy painting, but when I choose to paint is Lauren Bacall, is really exciting. I hope, as always, that you like.